News this week of Microsoft's Outlook.com data breach could not have come at a worse time for the software giant. A panel at PRWeek's flagship, two-day PR360 conference - in Brighton on 9 and 10 May - will address the question: "Can PRs do it all? And should they try?" Here, two panellists offer their take. The 2019 social media landscape is proving particularly challenging for brands. Ahead of this year's Brand Film Festival Grey Consulting's Leo Rayman wants to fight against the forgettable. A bottom-up revolution of community health services has come from relative obscurity to dominate the healthcare debate in the UK, and it puts traditional medicines in the back seat. Thought your kid was safe from the measles? Think again. Experts say several diseases that are avoidable are making a comeback, and it's all due to people who refuse to vaccinate their kids. The concept of flexible working is not only part and parcel of business life these days, for good reason, it is also part of the framework of employment legislation designed to eradicate discrimination in the workplace. H+K Strategies Dubai senior consultant Scott Armstrong says it is vital PR and the media work together to safeguard the future of both industries. They say a picture tells a thousand words - but if it's a snap of Stacey Dooley perching a Ugandan child on her hip, it will then generate thousands more, debating the merits of white celebrity ambassadors. 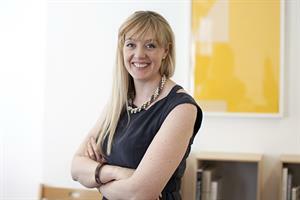 Join the PRWeek conversation "@prweekuknews"
Seeing red: what gets you fuming? I find it extraordinary that public relations is an industry many struggle to understand and define, especially when it comes to our role with sales. Only well-run pitch processes give agencies the chance to present their best work - to the ultimate benefit of the client. Anyone can string a sentence together, but don't make the mistake of thinking anyone can do it well, says Wyn Matthews, editorial manager at Word Association. Team GB and the wider British Olympic Association played a blinder in August. Aside from the athletes' medals haul, the reputation management and comms were gold standard. Top of the month: How did Pokémon Go catch everyone's attention? There is, famously, no 'I' in 'team', but the extraordinary way in which the Pokémon Go phenomenon has played out this month leads to the question: how much 'PR' is there in 'viral'? Sometimes, PRWeek's UK team has a tough time selecting its Flop of the Month. Sir Philip Green's summer has gone from bad to worse. First he was grilled by select committees on the demise of BHS, with his prickly demeanour not going down well. Although there may be legitimate reasons for doing so, trying to muzzle the press with court orders has a nasty habit of backfiring on celebrities who take this course.